Relion Group’s attorneys are currently accepting cases for Zostavax® vaccine lawsuit. Patients who received Zostavax® live zoster vaccine and who suffered severe side-effects as a result may qualify to file a Zostavax® shingles vaccine lawsuit. If you or your loved one suffered severe side-effects after receiving Zostavax® vaccine, please contact us immediately to have an attorney determine if you have a valid Zostavax® case. Zostavax Lawsuits claim that even though vaccine’s manufacturer Merck knew that Zostavax could cause shingles, but it was not listed as a side effect until December 2014, years after the vaccine was approved by the FDA in 2006. 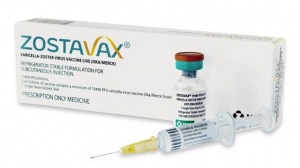 Zostavax attorneys in Relion Group’s Legal Network are reviewing potential cases for people who received a live zoster vaccine and then suffered from severe side-effects.